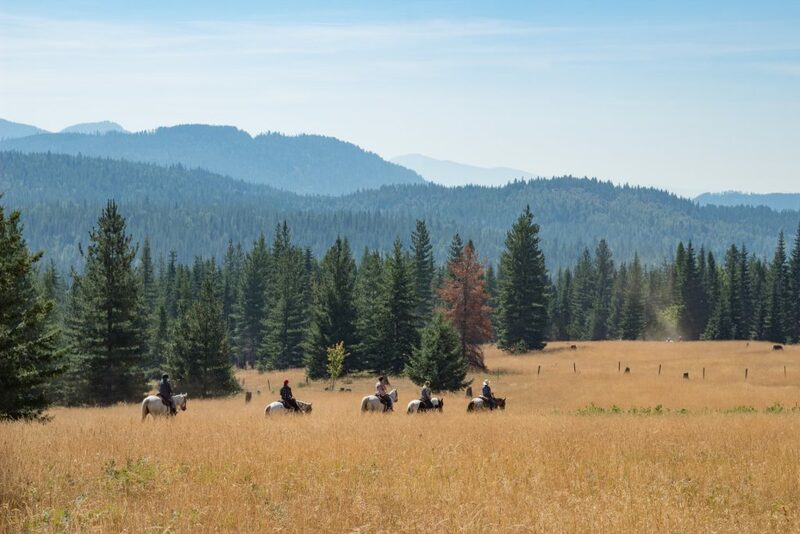 How do I prepare for a dude ranch vacation? 01 Feb How do I prepare for a dude ranch vacation? This means that on an hour long trail ride with a combination of walking, trotting, and cantering, you could burn up to 300 calories. This would be equivalent to an hour spent participating in a Zumba class, downhill skiing or snowboarding, using a step machine, surfing or playing tennis. 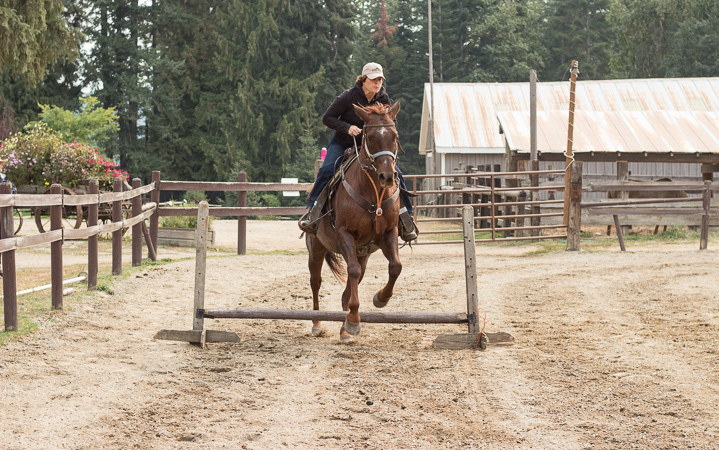 So, how do you get your body ready for a week of horseback riding at a dude ranch? First, get moving. Taking a daily walk or bike ride are great ways to get your body ready. Even a little bit of extra movement each day will make a difference when you get to the ranch. Second, strengthen your core. Your body’s balancing tool on a horse is your core. If you have ever stood on a balance ball or balance trainer, you will have an idea of how your core engages to maintain balance. These same muscles come into play to maintain balance in the saddle. Lastly, get your stretch on! Getting on your horse requires a little bit of legwork. Helping your body out ahead of time by doing just a few stretches per day can go along ways to prep you for riding. Of course, we do have mounting blocks to give you a little boost and help to relieve the stress on your horse’s back while mounting. Do you have to be in perfect shape to go on a dude ranch vacation? Absolutely not! But, a little bit of proactive work ahead a time can help to prevent or lessen the time it takes your muscles (and your rear) to get used to riding a horse. What a great picture and rider this woman is! Makes me want to go on a dude ranch vacation!